Beautiful breakfast, looks quick and simple to prepare anytime, i dont mind adding few more veggies to this fantastic dish. I had shortlisted this ..for its simplicity and simple flavors, but somehow did not make it..it actually looks so good , must make it soon now! 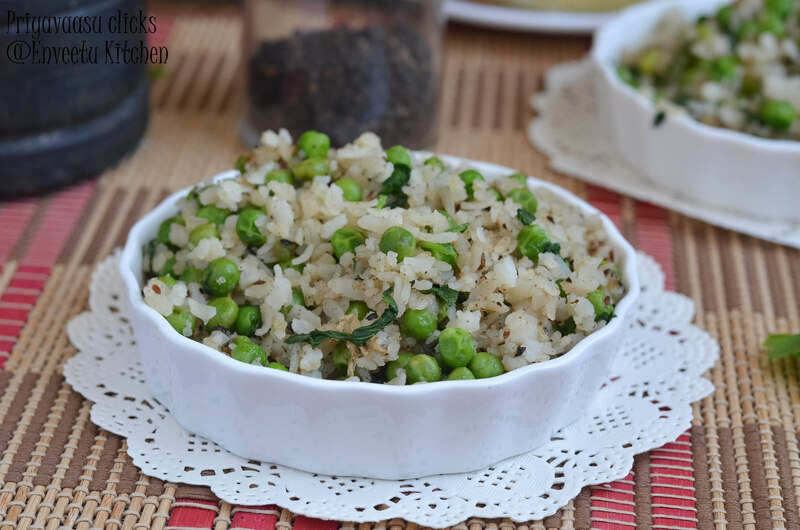 Nice variation for poha. 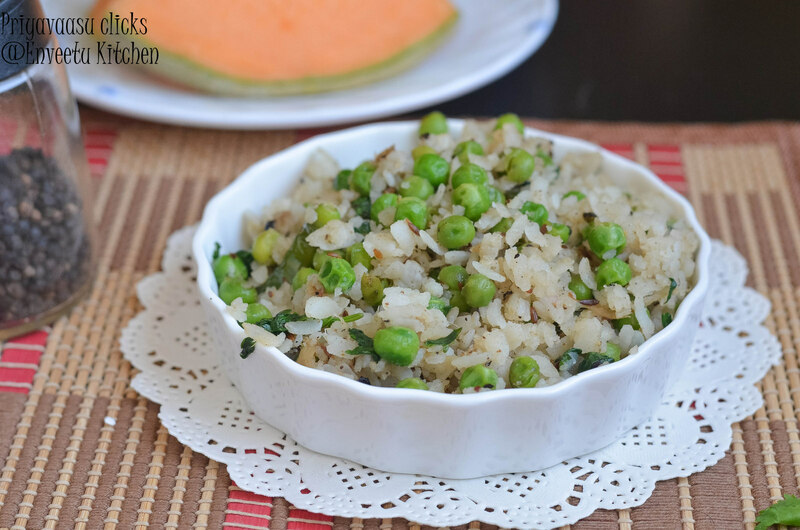 Fresh milk and poha with savory peas and spices is a very different combination. Never tried this way of chewda. Interesting combo, thanks for sharing. that is so simple and so delicious... love it Priya..
simple and yet filling! love it! 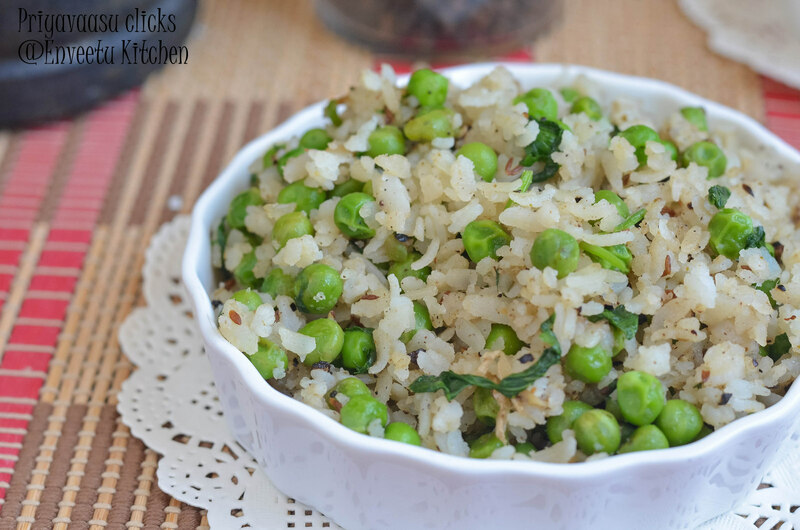 Poha with green peas looks colorful and delicious. Lovely clicks. 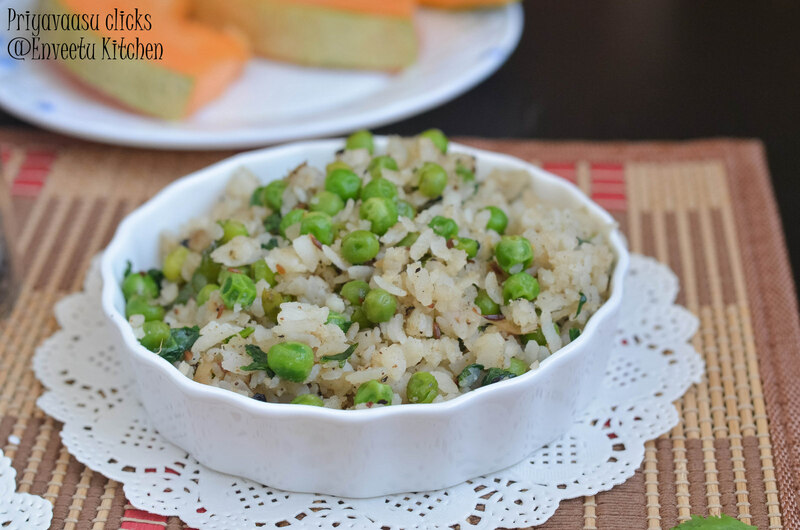 Very delicious and easy poha recipe ! Wow wjhat a great presentation. Love teh poha too.